Aberystwyth developed around its Norman castle, constructed by Edmund Crouchback in 1277 on the orders of Edward I. 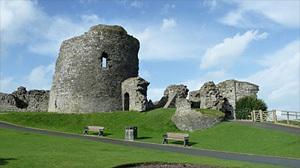 The castle was captured by Owain Glyndwr and later destroyed in the Civil War, following which many of its stones were removed to build houses in the town. Housed in the Great Hall Gallery of the University College of Wales. This award-winning arts centre displays an extensive collection of ceramics, prints and drawings. The complex includes a concert hall, cinema, theatre, gallery and workshop spaces, plus eateries and bars. The cliff railway, at the northern end of Aberystwyth, was opened in 1896. This near-vertical line climbs some 430 ft (132 m) to the summit of Constitution Hill, which is topped by a large camera obscura (of the same era), providing views across the coast. Initially constructed around 1100 by Philip de Breos and later upgraded and refortified by King Edward I. 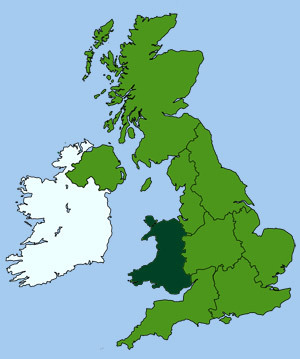 In its heyday is was a large substantial castle, supporting a large Norman garrison, almost as large as Caernarfon Castle. The castle was pulled down for building materials for Builth town after a major fire in 1690. All that remains today is an impressive motte surrounded by banks and ditches. Local history museum, located in the town centre. The Ceredigion Museum exhibits everything from farm and household implements to seafaring relics. The waterfall at Devil's Bridge is one of the most spectacular in Wales, tumbling some 500 ft (150 m) through a rocky chasm, spanned by three bridges, one above the other. 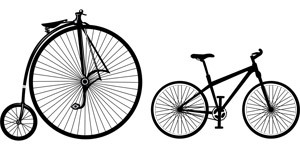 This contemporary museum houses a comprehensive collection of vintage to modern cycles, with tricycles pennyfarthings, boneshakers and motorised bicycles, dating from 1818 to the present day. The museum is an Independent Charitable Trust, whose aim is to promote interest in all aspects of cycling history. Home to an impressive collection of books and documents relating to Welsh history, including some of Wales' most precious manuscripts: the Book of Taliesin, the White Book of Rhydderch, the Bangor Missal and the 12th-century Black Book of Carmarthen, the oldest manuscript written in Welsh. The library is also home to an important collection of prints, water colours and drawings. The site of an important prehistoric hill fort and earthworks, some perched 400 ft (122 m) above the town. It is one of the best preserved examples of its type in the county. The Town Hall Gardens are the setting for the Llandrindod Wells Museum, which reflects on the history and development of the town. Amongst the museum's exhibits are items excavated from the nearby Roman camp at Castell Collen, plus a charming doll collection. Where history, myth and legend collide in a fantastic day out for the whole family. Embark on an adventure with a choice of guided tours discovering the history of the mines, or experience Welsh fantasy and myth in one of our theatrical experiences. 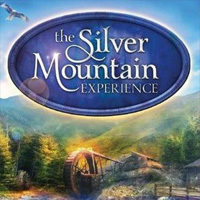 With a Gift and Coffee shop and with beautiful hillside views, Silver Mountain is well worth the visit. Sturdy footwear advised. Dogs on leads welcome at surface attractions. Steam locomotives regularly run the 12 miles of narrow-gauge track along the picturesque Rheidol Valley, between Aberystwyth and Devils Bridge. Originally opened in 1902 to carry local lead ore, this preserved heritage route has today become a very popular tourist attraction.